A few weeks ago, I had the eye-opening experience of reading Martin Luther King, Jr.’s Strength to Love, a collection of sermons from among the many which he preached during his years as a Baptist minister and civil rights activist. Until this point, my knowledge of King and his thought was sadly limited; I knew that he was a leading figure of the civil rights movement in the mid-twentieth century, and really nothing more. Other than his philosophy of radical nonviolence and his famous “I Have a Dream” speech, I had no conception of his thought and beliefs outside of the sphere of civil rights. In reading Strength to Love, however, I gained a much greater insight into his life and convictions, and in particular I discovered that King, like Dietrich von Hildebrand and Karol Wojtyła, had developed his own strain of Christian personalism in his writing and preaching. The rise of Nazism provoked a personalist response in Dietrich von Hildebrand, who, by his application of philosophical thought, witness, and understanding of the human person, combatted the evils of national socialism. 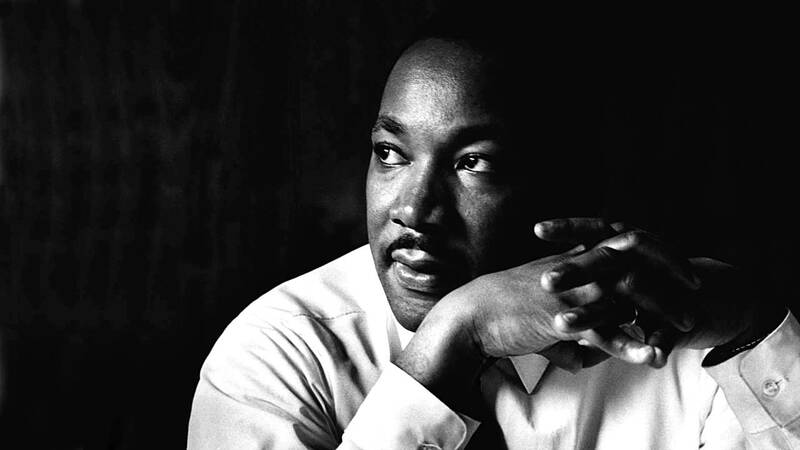 Likewise, the injustices of segregation and racism provoked a personalist response from King, who, through his protests, preaching, and writing, fought for the equal recognition of human dignity for African-Americans. of human life and the human person. The concept of forgiveness is another recurring theme in King’s writings. In reading Strength to Love, it seemed to me that his understanding of the importance of forgiveness was both a motivation for and a result of his philosophy of nonviolence. As a Christian, King believed in Christ’s call to forgiveness, and as a philosopher and student of both philosophy and psychology, he saw the positive results of forgiveness in social and interpersonal issues. In his sermons, King repeatedly calls upon his fellow African-Americans to forgive their oppressors and show, to both racists and segregationists, that they are seeking peace and justice, not revenge. Love, in my opinion, is King’s most dominant theme of all. Even social justice, I would argue, often sometimes takes the back seat in King’s sermons to make way for his powerful reflections on love and the effect which it has on the person. In this area, King’s thought is very reminiscent of Hildebrand’s philosophy of value, value-response, and perhaps most importantly, on the heart. For example, in his sermon entitled, “Loving Your Enemies,” King says, “Hate is just as injurious to the person who hates [as to the one who is hated]…[it] corrodes the personality and eats away its vital unity. Hate destroys a man’s sense of values...It causes him to describe the beautiful as ugly and the ugly as beautiful, and to confuse the true with the false and the false with the true.” (48) King’s personalism, like Hildebrand’s, recognizes the importance of man’s response to values and the obvious disorder that is present when a person is unable to recognize a value for what it truly is, a phenomenon which Hildebrand refers to as “value-blindness.” King implies that racism, segregation, and social injustice are all forms of value-blindness, and a failure to recognize the inherent dignity of every human person. By showing the connection between hatred and value-blindness, King also seems to draw the corresponding connection between love and value-response. and is therefore the antidote to racism, oppression, and segregation. I can only imagine the conversations which King and Hildebrand would have had if they had met one another. The similarities between the lives of these two great men and their respective take Christian personalism are fascinating and inspiring, to say the least. Both combated evil in the unique ways they encountered it, both spoke out against oppression and racism, and both risked their lives to uphold the truth and dignity of the human person.